Four of Hip-Hop's rising stars in one song? Yes, please. 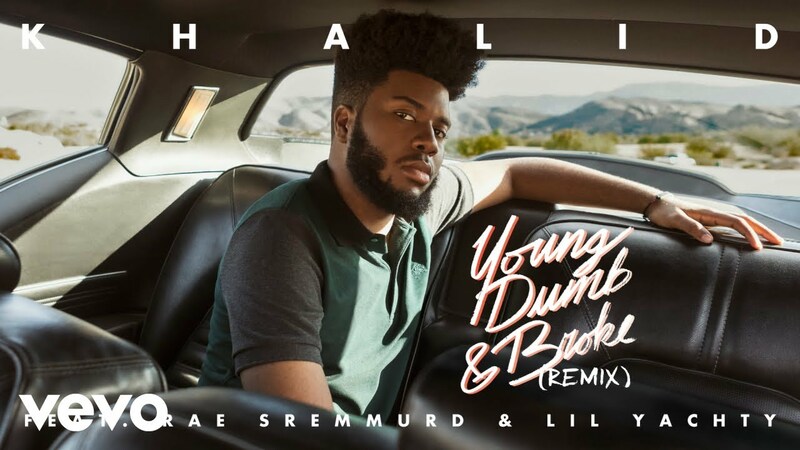 Khalid has linked up with Rae Sremmurd and Lil Yachty for the official remix of his hit song 'Young Dumb & Broke'. Taken from his debut album 'American Teen', the smooth tune sees Khalid sing harmoniously over a slick R&B beat. "So you're still thinking of me / Just like I know you should / I can not give you everything, you know I wish I could" sings the El Paso native, before Swae Lee enters with his own vocal. "And we're living it up, forget about sorrow / Party all night / Same time tomorrow" croons Swae. Slim Jxmmi soon brings his own fire as he delivers a verse after his brother. "I know the last time that you see me I was broke / Pull up for my city, graduated blue and gold" spits Jxmmi. Lastly, Lil Boat enters with some reflective final thoughts on the star-studded song. "Back in high school Boat was so emotional / Now I'm super rich and everything I do is so promotional" he raps. Meanwhile, Khalid is set to kick off his 25-date American Teen Tour on 12th July in Portland. The 19-year-old is up for 'Best New Artist' at the 2017 BET Awards, going head-to-head with Chance The Rapper, 21 Savage, Cardi B and Young M.A.